Brynley is 8 months old and into everything. His best mate is Topper the Kakariki. 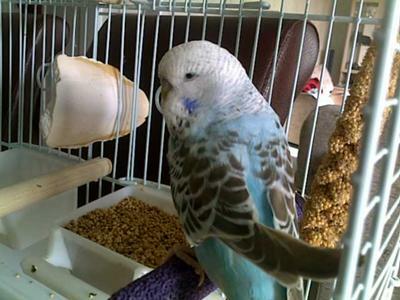 We have Brynley finger trained and he is well on his way to becoming a first class misfit of the budgie variety.